Zero/Sports V-Earthing kit is the strongest electrical ground wire system available and maximizes your engine to 100% efficiency. Selecting the optimal grounding points gives more torque, better fuel mileage, improved battery life and better sound system quality. -Zero/Sports kept the cable routing system in mind so installation looks clean at every connection between the direct ground path, battery, chassis, and engine components. -The wires uses a special 4-layer thick cable gauge made of 1,566 strand, 99.99% pure copper. 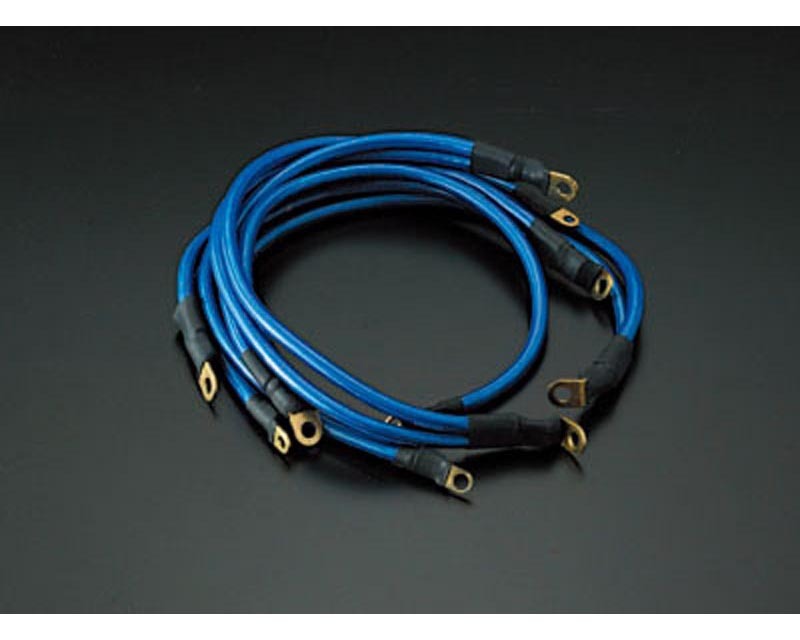 -The grounding wires run directly from the cylinder head and other points under the hood to the battery, providing an ultra low resistance connection. -The Zero/Sports V-Earthing Grounding kit works best with the Zero/Sports V-Effector voltage stabilizer.